A defining characteristic of the banking, capital and labour markets is a high degree of public intervention. These markets are all regulated, and have implicit or explicit fiscal arrangements associated with them. Deepening integration in these markets will likely therefore require governance integration, which might involve only the subset of EU countries that use the euro. Since these countries constitute the EU majority, safeguards are needed to protect the legitimate single market interests of the UK and other euro-outs. 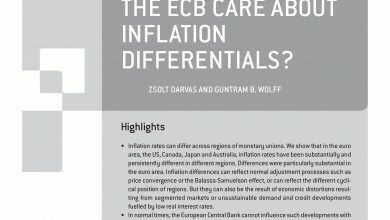 But the legitimate interest of the euro-area majority in deeper market integration to bolster the euro should also be protected against vetoes from the euro-out minority. 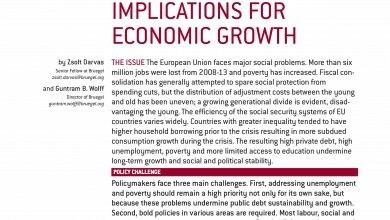 This new policy brief was first published on Bruegel and can be downloaded here. Previous Post The fallout from the European refugee crisisNext Post ‘Brexit’ Referendum: Will the U.K. Withdraw From the EU?